Update February 2016: Mandrill has announced changes that if I understand them correctly would mean for my sending volume I’d go from paying $65 in the past two years to $30/month in the future. Needless to say, I’ll be moving away from them a.s.a.p. and do not recommend them anymore to anyone! Of course I am not the only one who is not happy about that. While I have yet to properly evaluate alternatives, Mailgun looks promising. I’ll update my plugins when I’ve moved to another service. If you have a server that needs to send mail, I highly recommend using a specialized service such as SendGrid or my personal favorite Mandrill (up to 12k sends per month are free). While integrating Mandrill in certain web software is easy (like their wpMandrill plugin for WordPress), vBulletin is a bit more tricky. 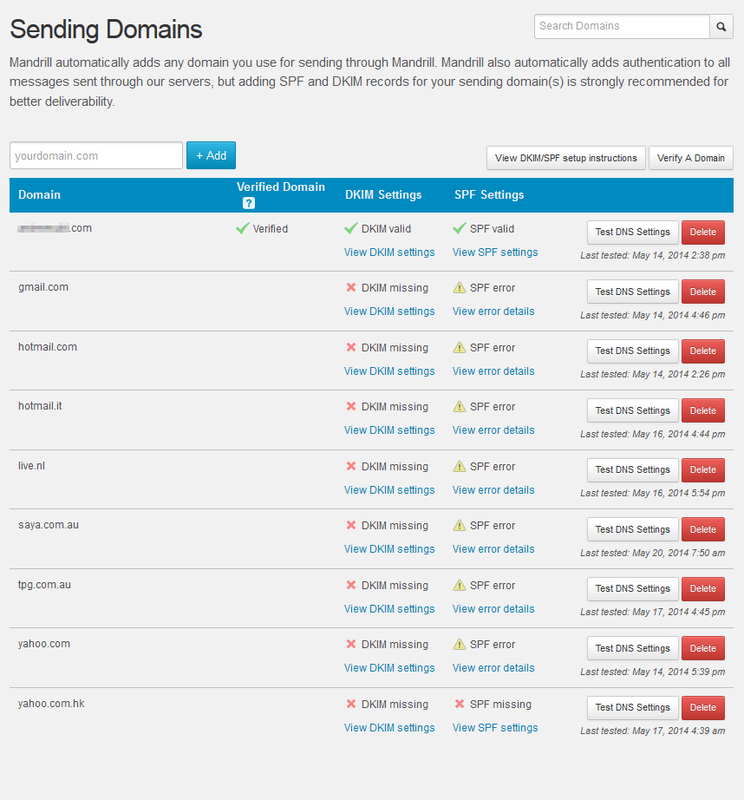 While it is easy to configure vBulletin to send mail through Mandrill (just create an API key and configure mail in the vBulletin settings) a problem is that the vBulletin Contact Us form uses the user’s email address in the “From:” field and that pollutes your Mandrill account very quickly. As solution I’ve written a little plugin that rewrites the “From:” field into a “Reply-To:” field and then adds your webmaster email address as “From:” field, which solves this issue. 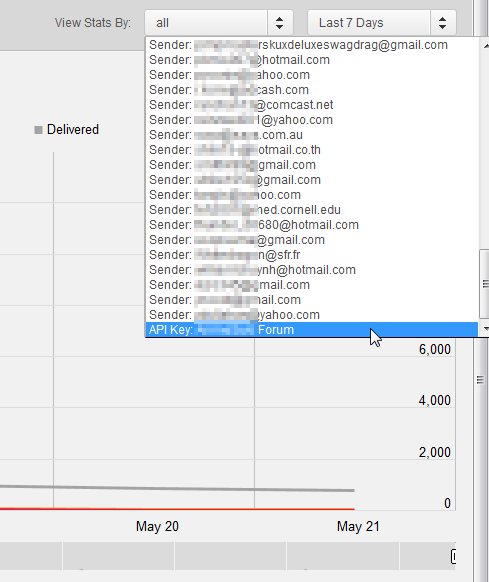 Now on to one of the neat things you can do with Mandrill: automated handling of bounced mail. Mandrill supports webhooks where you can have certain events be reported to automatically, such as “hard-bounce” or “reject” email events. Such a webhook can then take action on this information. I’ve written a Mandrill webhook for vBulletin that will automatically move a user to the “Users Awaiting Email Confirmation” usergroup if such an event occurs, so that no more mail is sent to them (until they update and reconfirm their email address), which will improve your email delivery score. Tip: for greater security, limit your Mandrill API key access (in Mandrill settings) to your server’s IP address and for vBulletin (or any service that only uses SMTP access) you only need to allow the “send-raw” API call, nothing else. December 2015: I just wanted to note that the solution below stopped working for me after a while. However I recently purchased a Synology NAS and configuring as a Time Machine backup destination is fairly easy. I just got a MacBook Air and had already read about how you can setup your own network based Time Machine backup on a Linux server. The problem is that there is some outdated information floating around, which caused me some headaches getting it to work with errors such as “The network backup disk does not support the required AFP features” and “backup failed with error 45” (in Console). First: you need version 2.2.x of the “netatalk” package. Debian 6.0 (Squeeze) comes with 2.1 by default, which won’t work (with Mac OS X 10.8 “Mountain Lion” at least). Second, lots of how-to information includes instructions on creating a /etc/avahi/services/afpd.service file. With netatalk 2.2, this file is redundant: you do not need to create it. Change the filename accordingly if the version number has slightly changed. With netatalk 2.2 installed, follow other guides on the net (such as this one or this one) to configure a Time Machine AFP share on your Debian server. For a script I want to build for maintaining WordPress themes & plugins a bit easier I wanted to basically loop through a list of locations of WordPress installations on a single server. This basically means I need to be able to create an “array”. I knew that you could use arrays in a shell script as I was using it in another script to automatically make a backup of all databases in a MySQL or PostgreSQL database, however that script gets the list from the output of an application: how do you define them yourself? First thing to know is that array support differs by which shell you use. I prefer simply “/bin/sh”, but that only has extremely basic array support. Bash (and others) have better support. Fortunately the array support in “/bin/sh” is sufficient in my case. This script will display each word from the array on a different line. Note that there is no way to refer to a specific member of the array (you can’t use an index). Now as you can see you can easily define a list of strings (with spaces if you want), refer to specific members of the array using an index and get the length of the array.